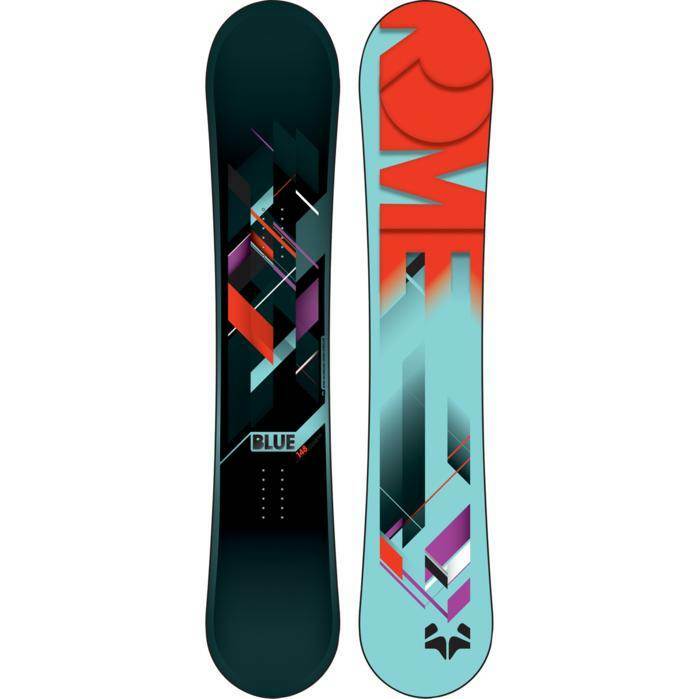 The Rome Blue is a direct competitor to the Burton Feelgood ES. The Blue does not have the channel system so you can ride any binding you want. 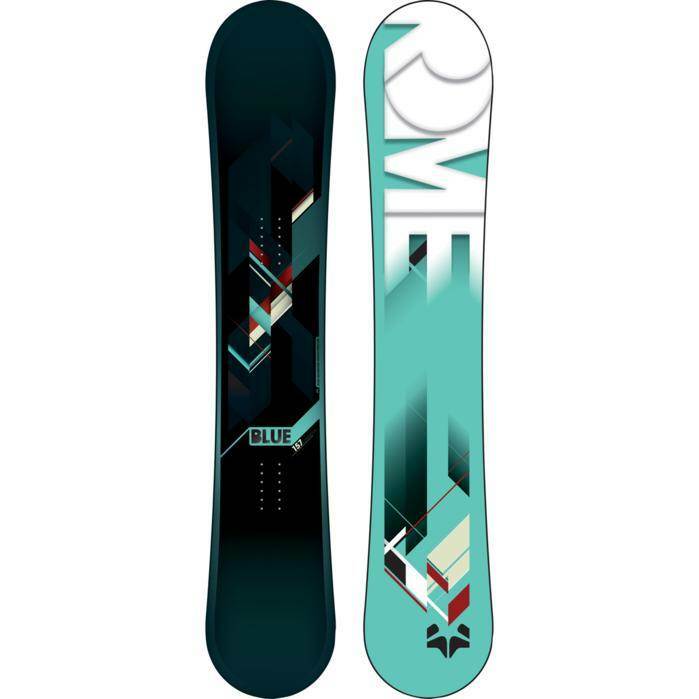 The Rome Blue is a serious and aggressive snowboard for Expert riders. Advanced riders who like to push it can ride the Blue as well but you won’t appreciate it entirely until you hit the expert level and really know how to make a good turn. The Rome Blue is light, well made, really fast and the price is reasonable. This is definitely a board for advanced to expert riders. 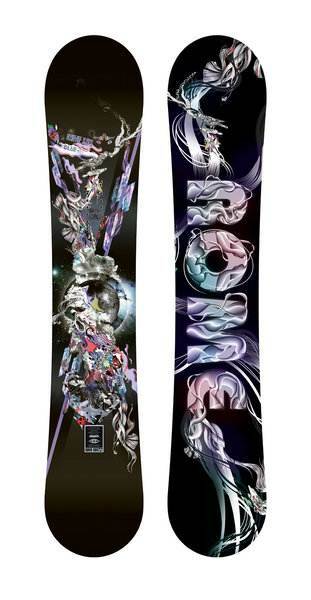 We would say that an advanced rider who wants to push themselves to become an expert rider will appreciate this board. 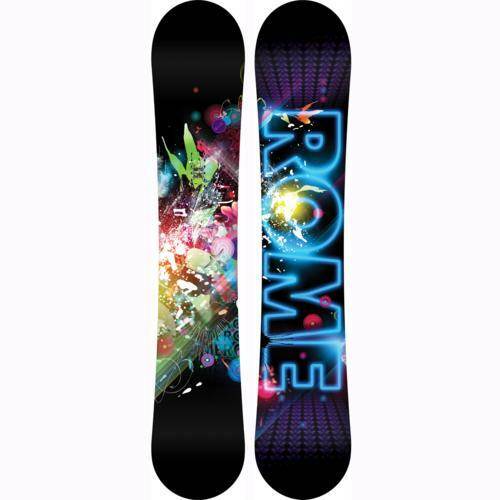 For 2011 the Rome Blue has become a Hybrid camber snowboard. This isn’t like other hybrid camber you see from Rossignol, Yes and Nidecker. This is more like a cambered board but the nose and tail turns up a little earlier than a regular cambered board. 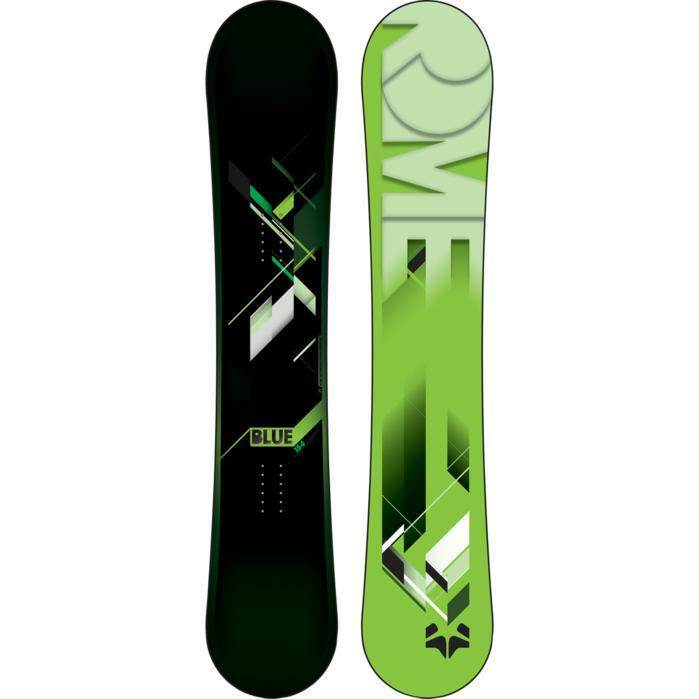 For 2012 Rome added their new sidecut which makes carving more fun and increased the edge hold. Burton canceled the Feelgood ES in 2011 so now this and the Arbor Push are some of the only aggressive directional boards in the women’s line up. So a quick take on the Rome Blue’s hybrid camber. It looks like it’s camber but then as you look closely the camber ends a little earlier than most boards and is flat until the nose/tail turn up like all boards do at the end. When you step on it the nose and tail come up a bit. 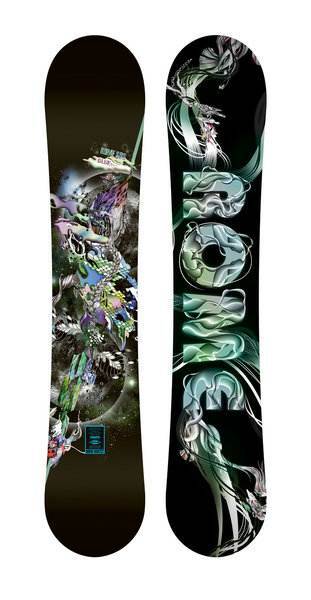 This makes for a better ride in powder and also makes the board a more catch free than the 2010 camber version. In 2012 the addition of the “quickrip” side cut that is on many men’s boards in the rome line helps complete the board and makes the 2012 the call over the 2011. 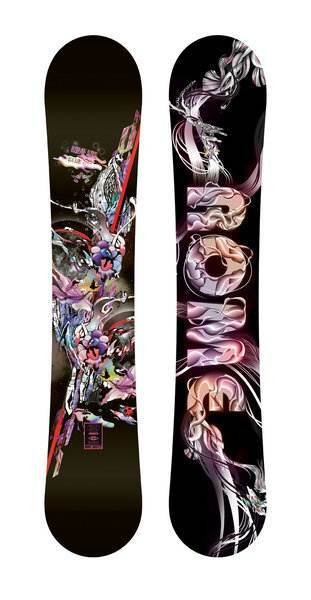 On Snow Feel: This board is made for groomers. It prefers good conditions but it’s doable with a little more work in harder conditions. This might be this boards best quality. It’s not a slow groomer board so if you like to carve and bomb Blue is your boy! 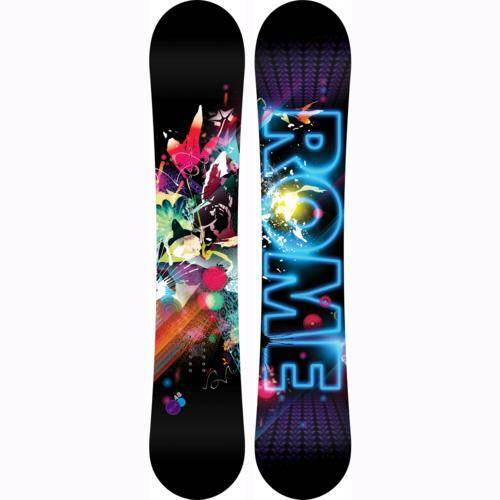 Powder: This Rome Blue has a good set back and comes in a decent size so it performs above average for an all mountain directional board. It doesn’t have the effortless ride that many rocker, flat/rocker or mostly rocker hybrid shapes have but it’s better than a camber board. The 2011 and 2012 do a better job than the 2010. Turn Initiation. It’s not the best at tight turns but it is so incredibly pleasant to make a nice arching turn on a well groomed run that it’s hard to care much about that problem. If you like to work a little bit for your turns here is your board. You give up a little bit when it comes to easy turn initiation but you get soo much back when you lay into a turn. It has that spring that feels like it is helping you set up for your next turn. Even though it takes work it feels like the Blue is doing it’s work for you. The 2011 was similar to the 2010 in terms of carving and turning. It might be a touch easier. However there is more of a change (we think for the better) with the 2012. The grip and feeling with the carve is more committed and really fun to lay it out as hard as you can. Speed: This board is fast…….really fast. A stiff flexing damp mid section, stiff tail and great base make for a fast chatter free ride. Rome isn’t exaggerating when it comes to their boast about speed. The speed has remained about the same between all the years. They are all incredibly fast boards. Uneven Terrain: The Rome Blue isn’t very easy in bumpy snow. It’s better than some boards but you do feel a lot of shock pass through to your body. Approximate Weight– This is right there in the top end of light. Not going to bother you on the chair. We compared this to the Rome Design 162 that was the same size and it was very close in weight. 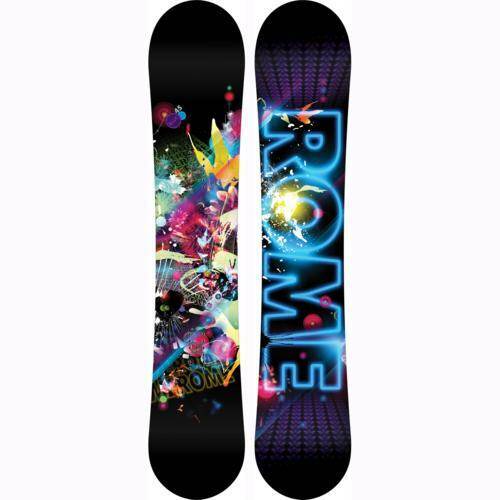 The Design was obviously lighter but we were impressed on the effort Rome took to get it soo close to their lightest board. Edge Hold: This will hold an edge in just about anything without being too grippy. As long as you maintain the edges you will be able to handle almost any condition you would want to ride in. The 2010 and 2011’s are on the good side of excellent but the 2012 Blue is going to be better than the older models here due to the new side cut. The old boards could hold an edge well but the 2012 will do a better job if you ride in ice and snowment a lot. Stiffness– Every year the industry manages to make the board more soft and playful while still maintaining the qualities you need when you ride the way you want to. 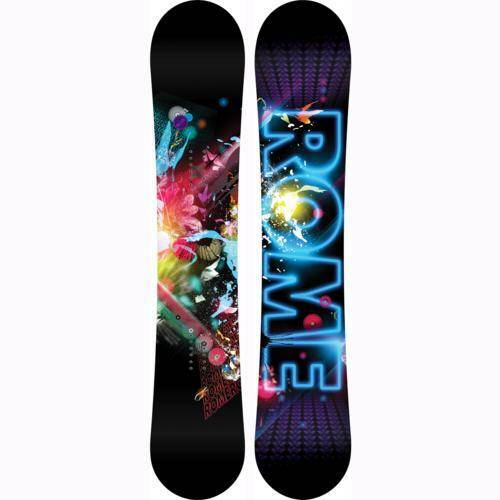 The board maintains enough torsional stiffness to keep its edge in the snow at almost any speed you have the balls for. Switch: Definitely different riding switch but not terrible. After a while you will get use to the directional shape and feel comfortable either direction. Jibbing– You can survive a day in the park hitting boxes and rails if your friends force you in there. We didn’t even bring this board even close to a rail because we were afraid of ruining those nice sharp edges. This isn’t going to survive long either if you take this through the jib course. This board is light and not as sturdy as a jib board. Many boards like this aren’t designed for that kind of abuse. Pipe: The stiff flex and edge hold get this board up and down a steep wall. The fast base really helps you make it through the flat and the directional shape really helps you drive from wall to wall. Some love a stiff directional board for the pipe and others love directional twins or twins with a softer flex. If you aren’t that into a lot of switch riding in the pipe the directional board might serve you better. The 2012 will be better than the older models here. 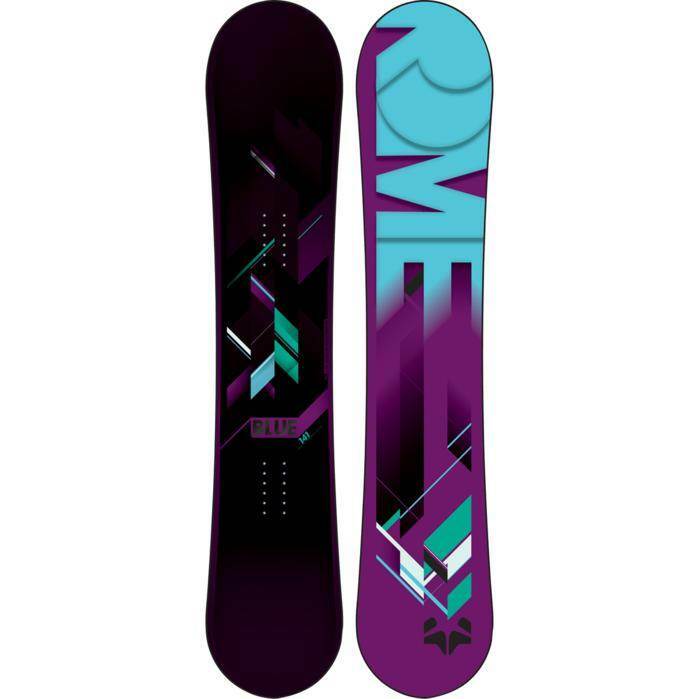 Jumps: The directional shape doesn’t make this the best to land or launch switch but if you like to go big and land regular then this board is a good choice. It’s also requires a very strong or technical rider to handle it so make sure that is who you are before hitting kickers with it. We try to get as many images of the Rome Blue, but forgive us if they're not all there. First board I bought was a Nitro Fate and I loved it. It was so easy to make turns. I only needed to think about it and the board already went in the other direction. I progressed fast. Unfortunately after a few years I started to experience the shortcomings on high speed. Above 65 km/h it started flapping and gave an unstable feel. I decided to replace the board with one able to handle speed. Next year I was riding the Rome Blue! I never experienced the unstable feeling again, this board is fast. When riding it I easily keep up with the men. This board deals with all conditions. Even very icy conditions are not a problem with this board. Carving gives you an amazing feel. You can almost touch the snow with your body and still feel comfortable. Although I'm really enthusiastic about this board, I also experience a few downsides. It's not as easy to make quick turns, a style of snowboarding I love. It takes some time to switch. Other thing is that it is so fast, sometimes faster than I can handle. Especially on steep slopes I sometimes feel I don't fully control the Rome blue. A feeling I never had with my Nitro. But it means this board gives me an opportunity to improve my skills and that was what I was looking for. 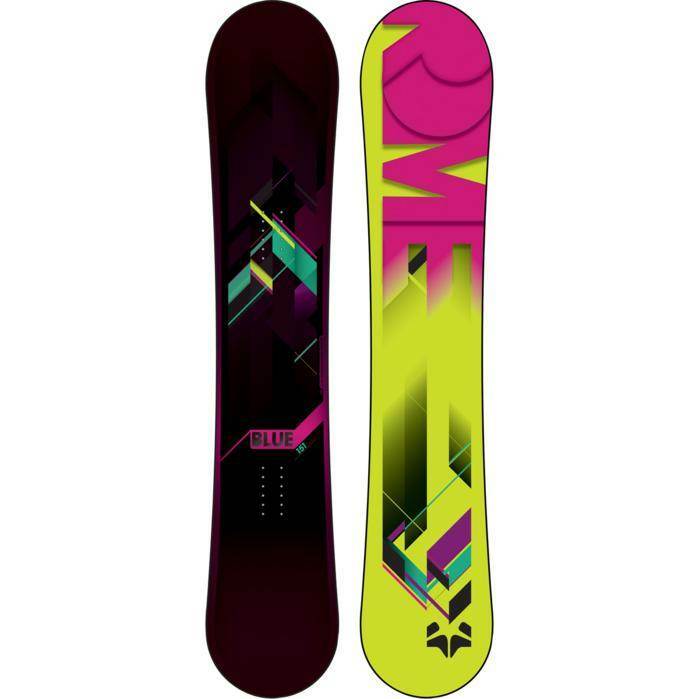 I recommend this board to all girls looking for a board that is fast, really fast and holds excellent on ice. 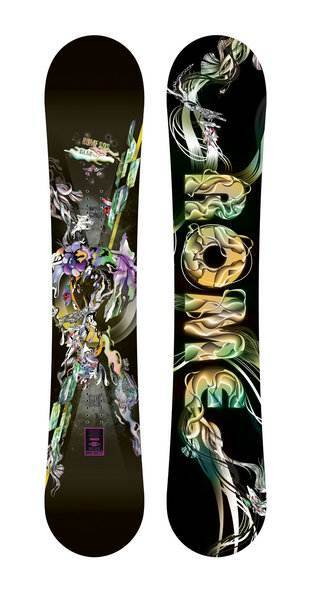 Have you outgrown regular women snowboards? Buy the blue. Don't buy this one if you don't always feel comfortable on your current board. It might be a bit too much. Enjoy riding! I love this board. Simple. It's fast, it carves amazingly well and has super amounts of pop. It offers a lively ride with a lightning quick base. It handles all conditions (soft deep snow, hard bulletproof runs, chopped snow you name it) I don't know what I'd do without it! 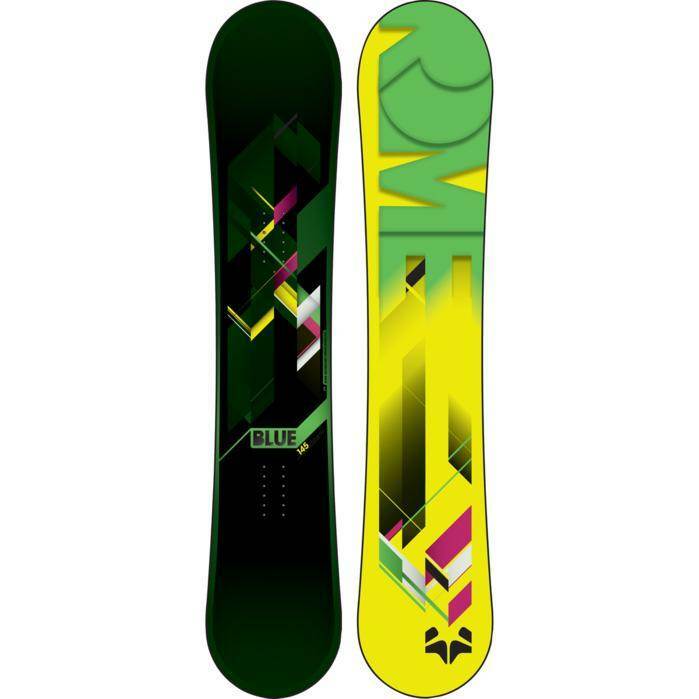 I bought this.board as a direct replacement for my Salomon Ivy and while it is, in my opinion, a good bit stiffer than the ivy, it has progressed my riding. It is easy enough to carve but offers you the life.lesson that if you're not paying attention in changeable conditions, it won't forgive you, the Blue will quickly remind you it's there!